The iRelief has been used by over 10,000 users in various ethnicities and different age, let us share their experience. I am a sport trainer. My back was hurt due to excessive exercise and suffered from sciatica and numbness intermittently. I tried various treatments including acupuncture, physiotherapy and chiropractic. None of these treatments can cure my pain. When I started to use iRelief, my pain was much relieved. I now keep using the device for almost 3 months, my condition was well improved and feel better every day. I used iRelief to thoroughly cure my arthritis which I have suffered for 3 years. I maintain better sleeping quality and health by keep on using iRelief. I had a history of familial skin allergy, and has been suffering from seasonal eczema in recent years. The intake of prednisolone as prescribed by the dermatologist did provide temporary relief but the condition turned for the worse once I stopped the medication. I also had acute shoulder pain which resulted from unattended injuries in the early years. The pain has been aggravating with the ongoing strain at work. To accelerate the rehabilitation process, I started to use iRelief, my skin allergy problem was completely healed within a month and my overall health condition has greatly improved. I experienced lush hair growth, with skin looking more radiant and dark circles of the eyes diminishing at the same time. I suffered from Gout for 10 years and the medications did not help. I used iRelief for 10 days, all symptoms disappeared. I feel alive again. I ate too much mushroom, my stomach was bloated and felt seriously ill. I wanted to vomit, but not successful. I then tried iRelief for 30 minutes, my stomachache was completely gone and I felt total relief. I suffered from psoriasis for the last 7 years, and urticaria by taking seafood or MSG. My issues remained even though I was treated by Chinese or Western medication. I used iRelief at the acupoints as advised in the wisdom book to help the immune system. Since then, my health and skin condition is much improved, and I can now take seafood too without the worry of the irritation. I was diagnosed with diabetes and had canker sore occasionally. By using the iRelief, it helped my immunity and I did not have canker sores anymore. My blood sugar level was stable and under control. I am glad of the condition and amazed of what iRelief did to my health. I had serious neurasthenia with insomnia and my limbs trembled. I used to take sleeping pills for my problem. 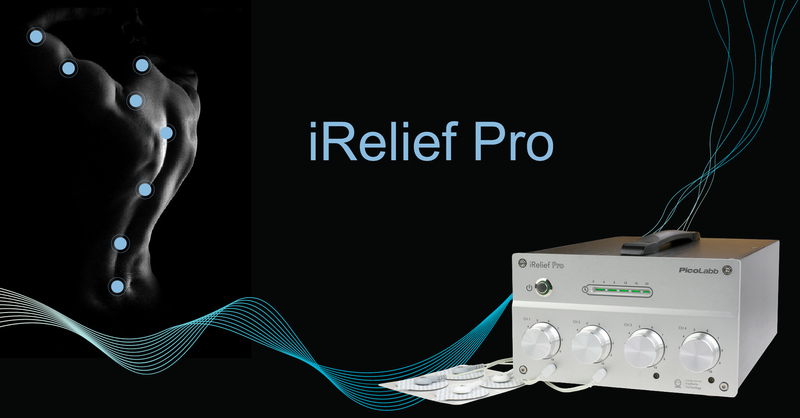 I used iRelief for 2 weeks, my condition had significantly improved. I do not need to take the pills anymore. My immune system was in a disordered condition, my blood pressure was high and I lost much hair. After using iRelief for 5 months, blood pressure maintained stable and my hair has grown again. I had the flu-like symptoms of running nose, sneezing and headaches. I felt much better by using iRelief for 20 minutes and all my symptoms were vanished. I suffered from prostate cancer, serious back pain and foot sore after the stroke years ago. I could not stand and walk. I used iRelief for a week, I could walk slowly. After 2 months, my pain disappeared and my health has been getting better. In the subsequent medical appointment, I found out my cancer cells were undetected as advised by the doctor. I was born with hereditary thalassemia and easy to feel tired and dizzy. My hemachrome used to maintain at ~12.4. My doctors told me the thalassemia could not be healed. I tried iRelief for six months. I felt much healthier and was not easily get tired. Surprisingly, my hemachrome was increased to 13.6 at my routine body check.